Date: Nov 10 2018, 5 p.m. - 9 p.m. Cost: Free! - but you must register. Middle Schoolers and Teens! 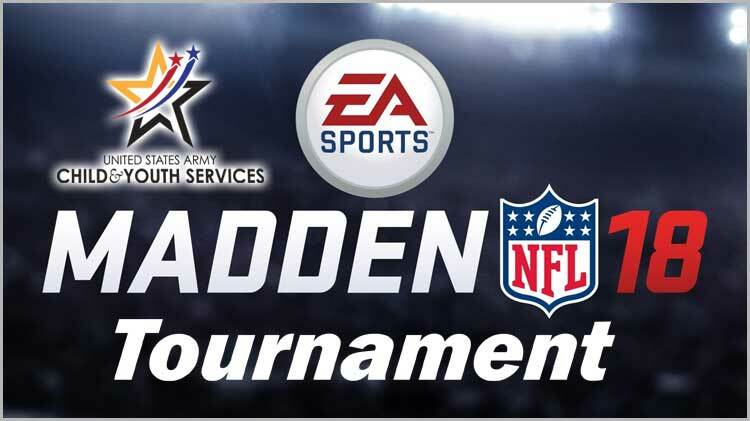 Come out to the Youth Center to compete to be the best In Madden ‘18. Youth will have a chance to win exciting prizes. Eligible Parents must register with CYS for your youth to play in the tournament. Registration: Visit the Central Registration Office.